Collaboration albums are something that have, over the years, proven to be a particularly polarising entity that are often met with a certain air of cynicism by music fans. While there are copious examples of successful partnerships that have evolved into something truly special , it can also yield things that categorically should not be . When a band as revered and consistently unparalleled as Sweden’s Cult of Luna announce such a project, expectations will be understandably high, not least due to this being their first full release since 2013’s highly-praised Vertikal. 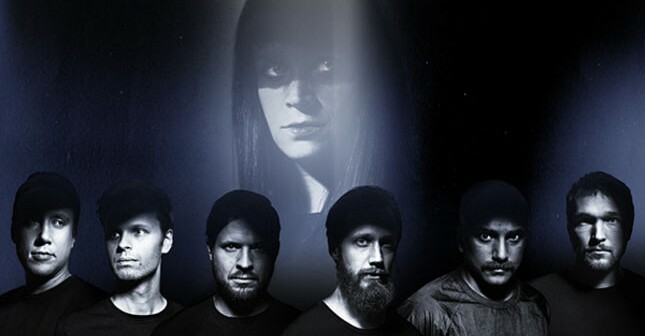 With Vertikal, the then-septet were arguably at the top of their game, delivering the kind of expansive, forward-thinking post-metal that often sees them mentioned in the same sentences as the likes of Isis and Neurosis. Perhaps the hiatus that followed was precisely what the band needed, and perhaps it provided them with the freedom and time to write and experiment whilst free of any pressures; whatever the case, it appears to have worked, and their decision to invite a very special collaborator to bring this project to life is nothing short of inspired. After a series of transatlantic communications that cemented the collaboration, and with the weight of their collective worlds now combined to form a singular vision, Mariner was born. As if to directly counter the cold, industrial severity that surrounded Vertikal, Mariner feels immediately warmer, and opener ‘A Greater Call’ proves to be the perfect introduction. The unadulterated crush of Cult of Luna’s introspective, riff-heavy charge and Julie’s haunting vocals make a mesmerising combination, and considering the two parties had never actually met until the album was complete on both sides of the globe, the cohesion and the breath-taking emotive force behind this music betrays an instinctual understanding that cannot be feigned. ‘Chevron’ is a much edgier prospect, with Cult of Luna’s more chaotic side coming to the fore and matched perfectly with Julie’s more extreme and unhinged vocals, the Swedes dominating with a humungous riff and Johannes Persson’s unearthly hollering – the latter ever present and essential to the band’s genuinely uncompromising and all-encompassing sound. The retro-style electronic soundscapes that adorn the album will come as no surprise to long-standing Cult of Luna fans; ever a band to shun the use of superfluous ideas and experimentation, the impact and atmosphere of their inclusion is significant. The synths continue into the magnificent ‘The Wreck of S.S. Needle’ – a song that sees Julie going it alone on vocal duties, and with a deft melodic hook and a top-of-her-game performance, she proceeds to grasp Cult of Luna’s superbly-crafted composition with deft hands. 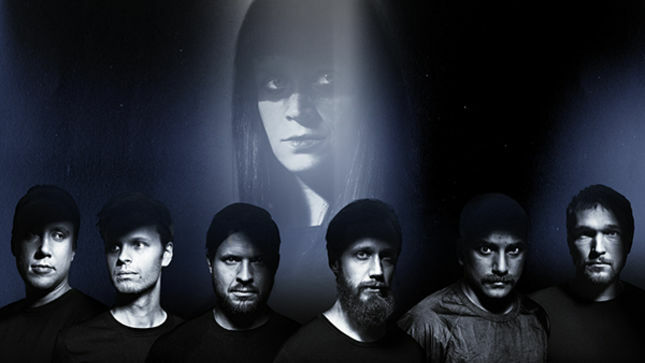 The band are equally as formidable alone however, with the wonderfully brooding ‘Approaching Transition’ providing a rare appearance in the form of guitarist Fredrik Kihlberg’s impressive clean vocals, before Persson takes over and the song builds up to a crescendo of crawling aural oppression. As if wanting to capture the sensation of longing and exploration, the songs actually grow in length as the album progresses, with closing piece ‘Cygnus-1’ clocking in at almost fifteen minutes. It fully justifies every second with outstanding performances from both parties – performances that end up merging into a single frenzied wave of atmosphere and crushing sludge metal that serves as the perfect metaphor for this journey into unknown realms of space. 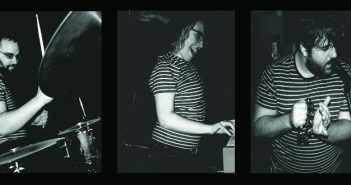 Never a band to stand comfortably in one place for very long, Cult of Luna have always managed—through natural progression and strength of songwriting—to retain both prominence and relevance throughout their near-twenty year existence. 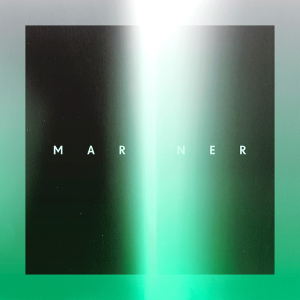 While Mariner feels like a natural successor to Vertikal in many ways, Julie’s inclusion and subsequent performance not only adds a whole new layer to the band’s sound, but she also helps to capture the true essence and premise of this ambitious undertaking; the wondrous, the beautiful, the boundless, and the terrifying. This is Cult of Luna at their most captivating, and Julie plays no small part in Mariner’s winning formula; her penchant for injecting genuine, unpretentious emotion into her vocal performances is second to none, and whether delicately crooning, singing her heart out or screaming out a cacophony of inner demons, her aim is always true. Combined with the former’s songwriting ability and an equally on-form performance, the final result is devastating. Like all great collaborations, both parties contribute equally to its success, and both parties prove to be equally essential components. Mariner’s exploration into the unknown is a daunting prospect, yet guided by two uniquely creative forces, it could not have been in safer hands.